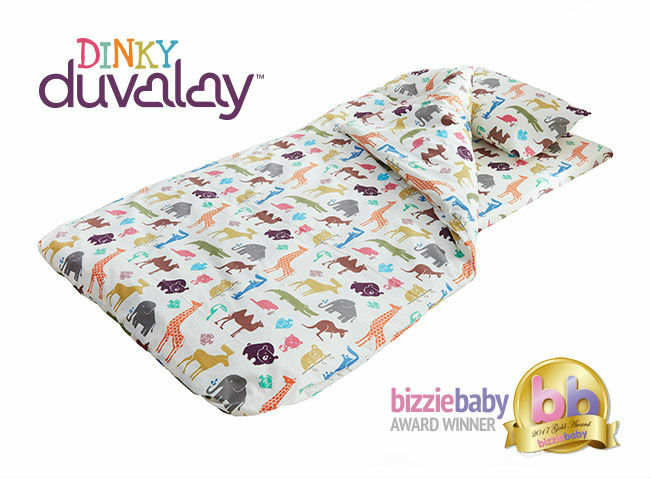 Our multi award winning Dinky Duvalay is every child’s perfect sleeping accessory. 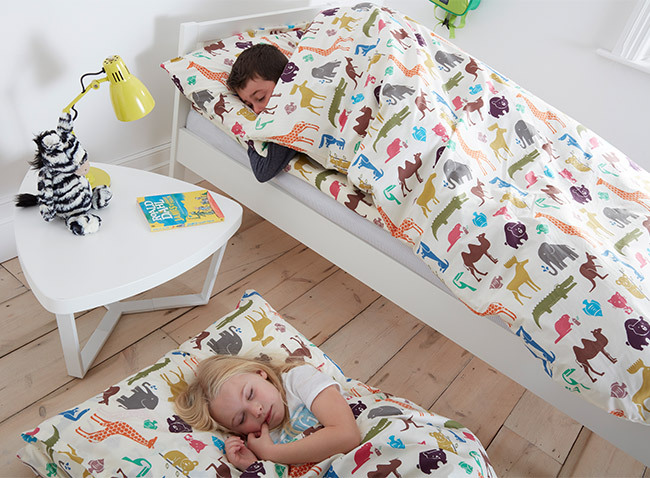 It comes in a fun, funky animal print that suits both girls and boys. 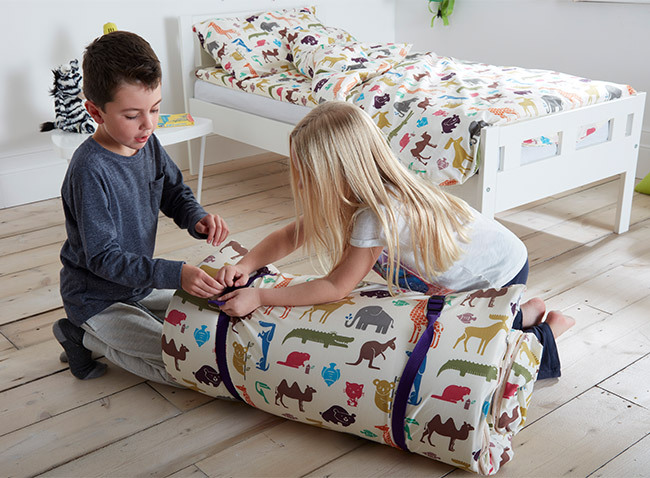 These transportable, luxury sleeping bags are as good to use at home as away ensuring every child gets a comforting, secure and cosy night’s sleep wherever they are. 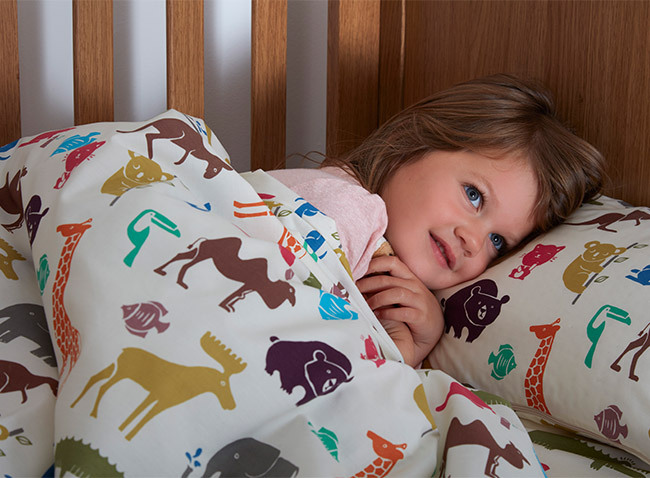 Our award-winning Duvalay sleeping bag combines optimum sleeping comfort with incredible ease of use (it's so popular, we've even renamed our business after it!). 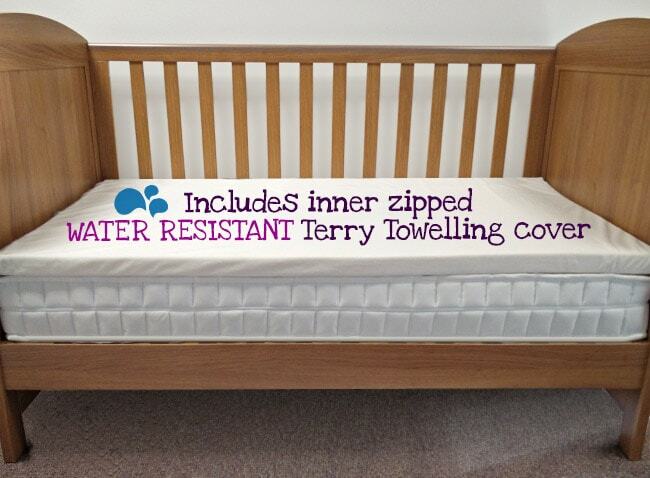 Consisting of one luxury polycotton cover with two pockets, this clever product includes a duvet in the top pocket and a memory foam topper in the bottom pocket - complete with a handy, easily removable water resistant cover, which is great for any little mishaps! 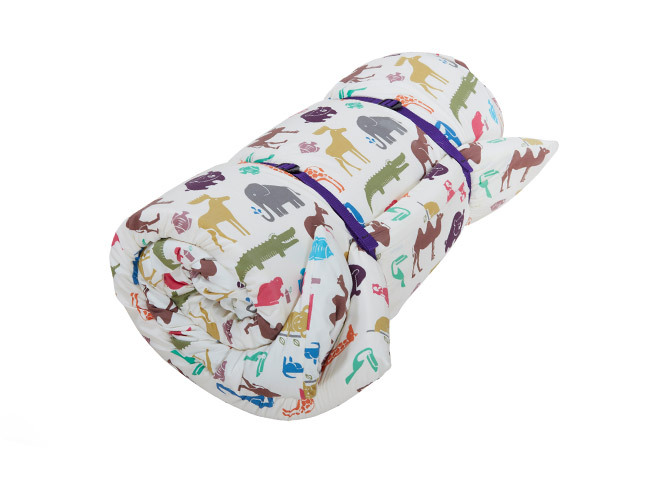 Simply undo the buckled straps, unroll and your sleeping bag is ready to use on any sleeping area. 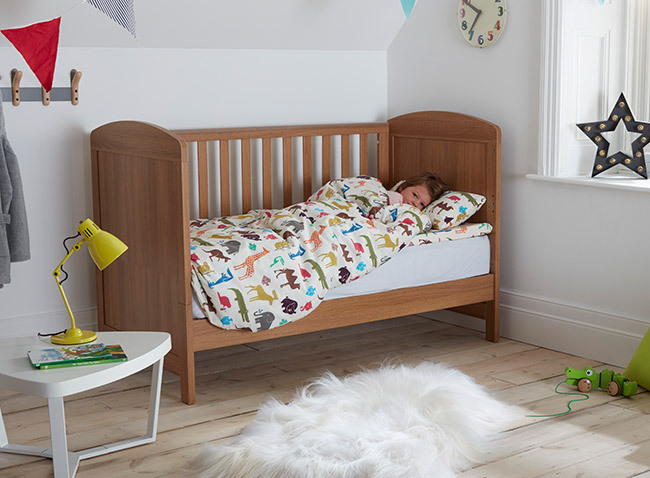 Ideally suited to children, this innovative product can help prevent children falling out of bed and - because they can’t kick the duvet off - it keeps them warm and snug all night long. 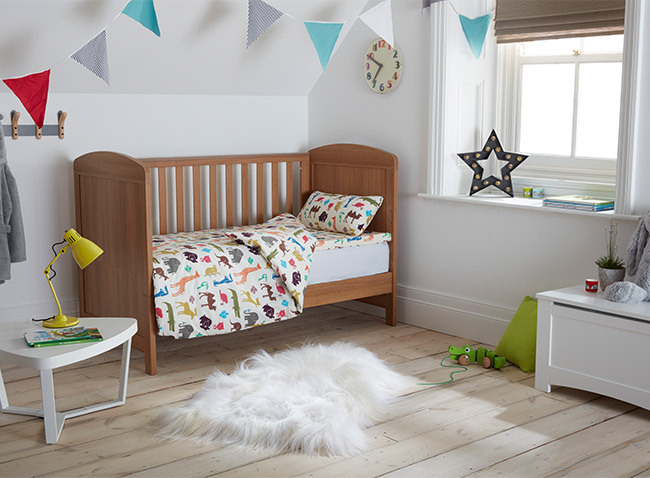 It can also be really helpful in bridging the gap between a cot and full-size bed, making this progression so much easier. 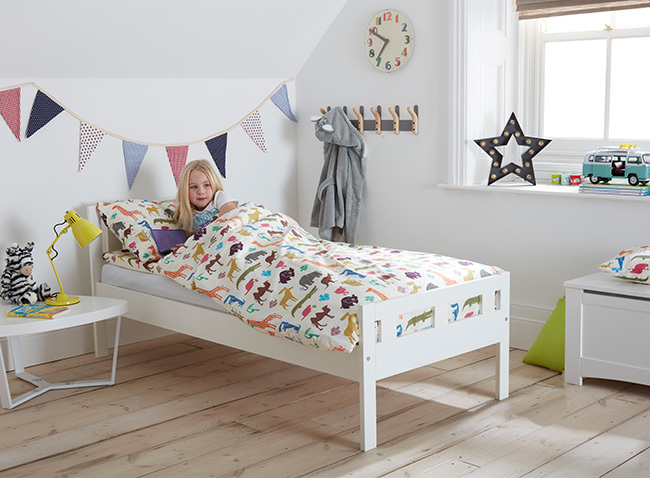 The Dinky Duvalay simply moves from one to the other! 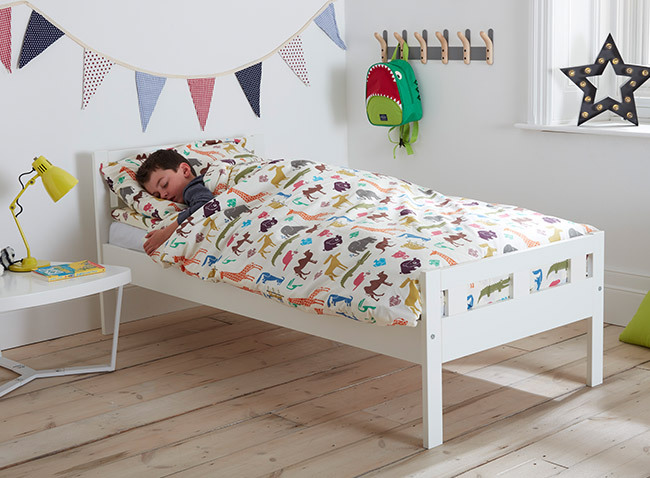 Sleeping away from home becomes a much less worrying procedure; just roll up at home and roll out on arrival. 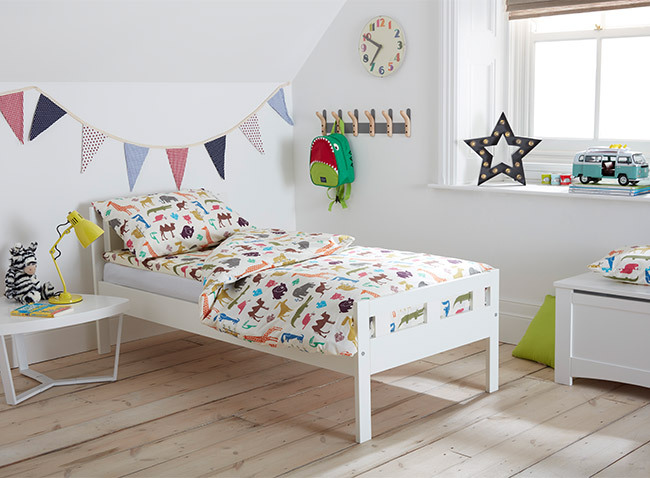 It’s their 'home away from home' bed; reassuring and comforting for any little person.